Apple's announcements from WWDC last week indicate exciting changes for retail, and now a new iOS 8 feature is making news. It seems Apple is taking a stand for consumer privacy, rendering Wi-Fi tracking (a.k.a. MAC address-sniffing) next to useless. Currently, some retailers are tracking the movements of customers visiting their brick-and-mortar stores without their knowledge or permission, logging any phone within Wi-Fi range. But any phone using iOS 8 - about half of all U.S. smartphone owners - will be exempt. According to The Verve, when iOS 8 devices look for a connection, they randomize that address, effectively disguising any trace of the real device until it decides to connect to a network. The change is a big win for consumer privacy, as many retailers currently using Wi-Fi tracking will be inclined to start using beacon marketing - a process that relies on Bluetooth Low Energy (BLE) technology and consumer consent. Apple itself uses beacons in-store, developing an industry iBeacon standard based on customer opt-in. 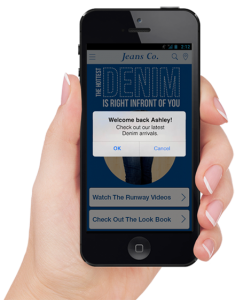 Beacon marketing following the iBeacon protocol says a customer can only interact with beacons at a location if she has downloaded a beacon-enabled application to her phone. From download, a customer is taken through an explicit opt-in flow explaining that while in-store she may be interacting with beacons. At any point a customer can access the app settings to opt-out of any future beacon interaction. This type of explicit consent relationship is entirely at the customer’s discretion. When a marketing program does not require customer consent, it is understandable that customers would become concerned about their data privacy. However, both customers and privacy advocates should understand that beacon marketing does not enter these dicey data collection waters. Learn the major impacts iOS 8 updates will have on retailers.